The wide open spaces of Auvergne at your fingertips! To give you a greater choice of destinations, REVEA offers partner sites whose quality criteria are close to our label. 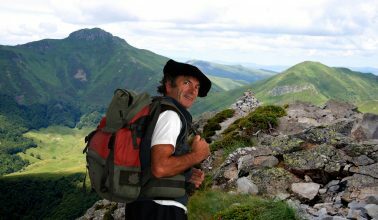 Visit Cantal and change your surroundings at the campsite ** La Borie Basse. 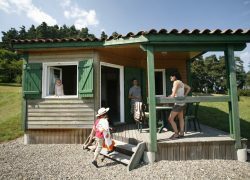 In the heart of the Volcanoes Park of Auverne, the campsite has 80 pitches, 6 mobile homes and 7 huts in a quiet and shady 3.5 ha, true rest! 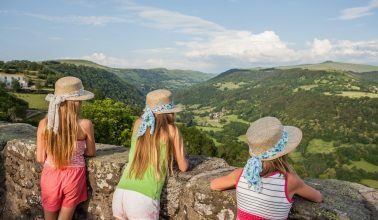 It is the ideal starting point to visit the Auvergne full-scale, the high sites of Cantal as the Puy Mary, Le Lioran and also Super Besse and landscapes to cut your breath! From the campsite whether you are a novice or a great walker, hikes take you through the forest, on the Cézallier plateau, or to the surrounding villages. At the end of the field, the horse riding center is open to everyone for pony rides or horse, the heated and outdoor municipal swimming pool awaits you for moments of relaxation with your children and your little ones. Above Condat, the nautical base allows you all water recreation and the gorges of the Rhue take you to Bort les Orgues, where its grand dam will impress you with its grandeur and its castle sitting on the banks of the river . 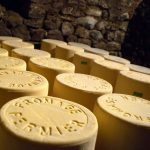 the big volcano of puy mary and the city of salers will be there to make you discover the wonders of the cantal. Lovers of hiking, nature or simply tranquility, welcome! Open municipal swimming pool * with paddling pool open from 01/07 to 31/07 (depending on weather) with courtyard * aquagym and swimming.